We are going to have look at the most basic but most important part of Database. It is the first step of Database. We can call it initial stage of Database. Let’s have look at this image. It indicates some hidden simple and most meaningful message. 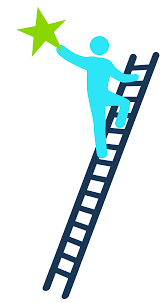 Ladders are to meant to climb only it shows we have to go step by step towards our goal we can’t skip any single step to reach the top. In some manners, we have to follow steps in Oracle Database to perform DBA task. There are no shortcuts. Being DBA we have to follow these steps with proper rules and regulations. Let’s have look at the process to start oracle instance by knowing the impact of each stage on a database. Let’s have look at the stages of Database instance. 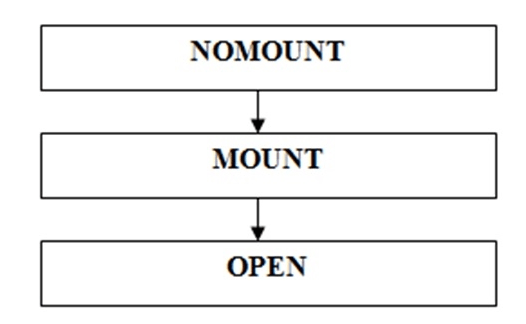 MOUNT SQL>STARTUP MOUNT; Enabling and disabling redo log-archiving options. RESTART DATABASE SQL>STARTUP FORCE; You cannot shut down the current instance with the SHUTDOWN NORMAL, SHUTDOWN IMMEDIATE, or SHUTDOWN TRANSACTIONAL commands. You experience problems when starting an instance. SQL>ALTER SYSTEM DISABLE RESTRICTED SESSION; Only database administrators should have the RESTRICTED SESSION system privilege. Further, when the instance is in restricted mode, a database administrator cannot access the instance remotely through an Oracle Net listener, but can only access the instance locally from the machine that the instance is running on.